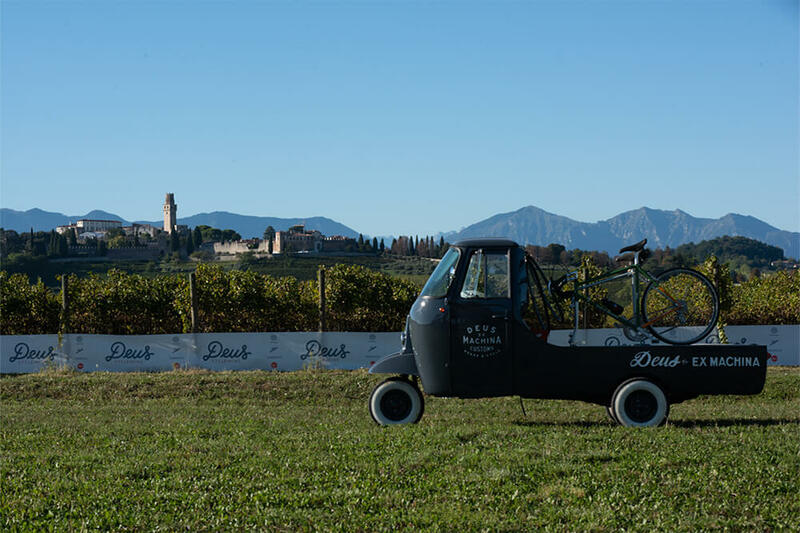 Deus CycleWine returned, taking the second edition of this Deus Ex Machina wine-sporting event to Veneto, dedicated to vintage bicycle enthusiasts. The event on 29 September was held under the sign of style and fun where Ape was also a protagonist with “El Ganzo”, the fabulous Deus Ex Machina customization that supported the cyclists and others throughout the day on the rolling hills of Marca Trevigiana. The festive meet was hosted by Tenuta Borgoluce of Susegana (Treviso), where prosecco also did the hometown honours and delighted participants who were busy alternating between the efforts of the fun bicycle rides and popular tastings in the prestigious wine cellar and delicious samplings of the territory’s culinary excellence. 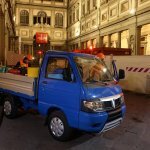 Accompanying the participants along the route, nestled in the hills of Treviso, was The Ganzo Ape, the most beloved three-wheeler in the world, specially customized as a mobile assistance point. In fact, the Classic Ape from Piaggio – whose iconic, timeless rounded features have been recently reinterpreted to enhance its “vintage” charm – was customized by Deus Ex Machina both in terms of aesthetics and to best fulfil its function as a fully equipped assistance point and fun bicycle ride companion.